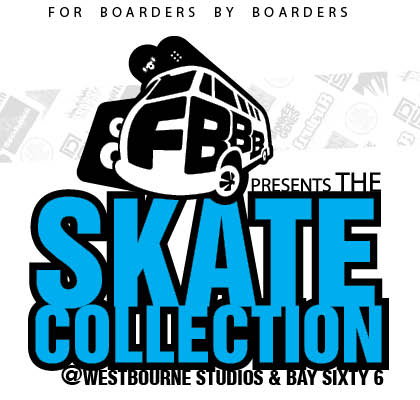 If you’re struggling for things to do this bank holiday weekend then why not check out ‘The Skate Collection’ at Westbourne Studios and Bay Sixty 6. This looks like it’s going to be a big event with plenty of things to do, check out some of the UK’s best brands, skaters, and artists over this two day event. The flyer below has all the essential details.